This is CME on ReachMD. This activity titled, Changing Course: Anticoagulation in Secondary Prevention of CVD Events, is brought to you by Medtelligence and the Postgraduate Institute for Medicine and supported by an educational grant from Janssen. Prior to beginning this activity, please be sure to review the faculty and commercial support disclosure statement as well as the learning objectives. Here is your faculty, Dr. Deepak Bhatt and Dr. Michael Gibson. Hello, this is Deepak Bhatt from Brigham and Women’s Hospital and Harvard Medical School. I’m Mike Gibson. I’m Professor of Medicine at Harvard Medical School, Chief of Clinical Research at the Beth Israel Deaconess Medical Center, and President and CEO of the non-profit Baim Institute. Well, it’s really a pleasure to have my good friend Mike Gibson here today to chat a little bit about some really interesting new data, and more than just new data, I think potentially a new paradigm of how we think of thrombosis and reducing thrombosis-mediated risk. Mike? Yes, Deepak, platelets are complex, and the interplay between platelets and the thrombin side or the coagulation side of blood is very complicated. Happy platelets are round, but the thing that makes your platelets the angriest and gets them activated is thrombin. There’s a positive feedback loop. Your platelet is a little, mini manufacturer of thrombin on its surface, and that thrombin in turn, when it touches the platelet, makes it even more activated, so there’s a positive feedback loop there, and, of course, that’s the target of the antithrombins. Something similar happens on the platelet with respect to ADP as well, and that’s the target of thienopyridines. Now, one thing people may not be aware of is that all the drugs we have, like aspirin and thienopyridines, they do a great job of preventing the platelet from getting activated in response to things like collagen and ADP, but again, the thing that makes your platelet the angriest is the thrombin, and the antiplatelets that we have do nothing to protect against that thrombin activation. The work of Paul Gurbel and others has shown that platelets kind of calm down over time after an ACS event, but the thrombin side, the coagulation side, is different, and out to 2 years you still have activation with excess thrombin production after an ACS event, so it’s different than the platelet side. This is a gift that keeps giving. These people remain activated, and that’s why it may be a target, a chronic target, of chronic therapy. Oh, that’s really an interesting overview of things, Mike. The biology, I think, is fascinating. Maybe what hurts us a little bit is that many of us learned in medical school the coagulation cascade and platelets and just sort of think of them as very distinct and not as intertwined as they are in real life. Of course, those scientific observations you just shared have practical implications that have been studied in phase II and phase III trials. Do you want to talk a little bit about a trial that you led? Yes, so we decided to test what I would call the thrombin hypothesis, namely: Would inhibiting this kind of thrombin generation improve outcomes in an ACS population? And, Deepak, you worked with us in some of these studies, these TIMI ATLAS studies. We looked at ACS patients. It was a lot of work to find the right dose. And we studied 21 different doses of rivaroxaban in ACS, once-a-day, twice-a-day, everything from 2.5 mg twice a day up to 20 mg, the AFib dose, and what we saw was your typical dose response curve—no surprise—more rivaroxaban more bleeding. Now, what we also saw was that higher doses did not reduce events. So, when you look at the totality of the data, there was a positive signal here with respect to a hard endpoint of death, MI stroke, which encouraged us to move on to phase III, but the doses we chose were the lowest doses since they had just as good effectiveness as the high doses. So we again looked at an ACS population, broad population, stabilized after that event. Doctors could give people thienopyridine or not. Ninety-three percent of the time they chose to give that thienopyridine, mostly all clopidogrel, and then we compared 3 strategies—DAPT versus riva plus DAPT at a dose of 2.5 twice a day or riva at a higher dose of 5 mg twice a day plus DAPT, and our primary endpoint for efficacy was cardiovascular death, MI stroke, the traditional kind of endpoint—important to note that cardiovascular death included bleeding deaths, important to note that stroke included bleeding stroke, and so the efficacy outcome had a lot of bleeding endpoints inside of it. And here you see the primary efficacy endpoint. It was reduced by an absolute risk reduction of 1.8% over 24 months. You’d only have to treat 56 people to prevent one of these events. It was a 16% relative risk reduction, highly statistically significant. But one of the most provocative findings was the reduction in mortality. Cardiovascular mortality was reduced by the low dose, that 2.5 mg twice-a-day dose. It was reduced by 1.7%. You’d only have to treat 59 people to prevent a cardiovascular death, and this was highly statistically significant. Now, people initially thought that this must have been play of chance, but we’re going to talk about a second trial in a minute, the COMPASS trial, which found a similar magnitude of mortality reduction. And when you and I grew up, we thought that stent thrombosis was a platelet problem, but here you can see rivaroxaban added to DAPT further reduced stent thrombosis. So again, if thrombin activates platelets, if you reduce thrombin generation, you may further reduce stent thrombosis. Well, even warfarin in an older era had efficacy for stent thrombosis, as you well remember. It’s just it was a messier drug, especially back then—no home INR monitoring, there was a lot of bleeding and a lot of variability in INR—so it’s conceivable that a better mousetrap would perform more favorably than warfarin did, especially with dose optimization. And as you mentioned, something that’s often not done in drug development that we carry forth into phase III or even phase IV trials, doses that haven’t been totally nailed down, is we don’t actually know what the right dose of a drug is. There are a lot of drugs in common practice right now where we don’t really know what the optimal dose is. It’s just whatever dose happened to be taken into phase III testing and ultimately approved, so I think here that initial work looking at all those different doses of rivaroxaban early on in the ATLAS program really helped. So, can you tell us now a bit about the COMPASS trial? You alluded to it essentially showing a lower mortality, as was seen in ATLAS 2, each trial helping corroborate that mortality difference between the treatment arms, but what about COMPASS? What does that tell us? Where does that take us? COMPASS shifted gears a bit. I mean, in ATLAS we studied the ACS population. In COMPASS—this is the sibling of ATLAS—it’s not ACS, but it is chronic CAD or PAD, and the same winning dose in ATLAS was taken forward, that riva 2.5 mg twice-a-day dose plus aspirin, and that was compared to a higher dose, the riva 5 mg bid dose without aspirin, and the third comparator or control was good old aspirin at a dose of 100 mg. I do want to emphasize, Deepak, that this 2.5 mg dose is currently an experimental dose here in the United States, not yet approved in the United States, so just a word of caution there. You can’t get it. Now, these were chronic CAD-PAD patients. The efficacy outcome was cardiovascular death, stroke and MI, and the strategy of riva plus aspirin compared to aspirin alone reduced events by about 24%, an absolute risk reduction of about 1.3%. I think that’s very good in terms of absolute numbers. When you look at the timing of the benefit, it’s notable that the curve separated very early. It’s pretty impressive for a chronic secondary prevention strategy to see this kind of early divergence of the curves. It speaks to the fact that these people remain at persistent risk and that we can lower that right away. The cardiovascular death was reduced by about half a percentage point, but stroke was reduced by 42%, which I think was one of the more positive findings in the study. There was a trend towards reduction in MI, but again, I always like to say, Deepak, we never know how many of those deaths were cardiovascular or MI deaths. So when we say there was a trend in MI, well, many of those cardiovascular deaths may have been MI deaths. We just don’t know. And the secondary outcomes were limb ischemic events, and those were reduced, so a reduction in both the cardiac kinds of events, cardiovascular death as well as peripheral arterial events—of interest in this study, similar magnitude to reduction whether you came as a CAD or PAD patient. Of course, there was some excess bleeding. There was an uptick from, I want to say, 1.9% to 3.1%, which was significant, but no increase in fatal bleeding, no increase in nonfatal ICH, so yes, some excess bleeding, but not bleeding that kills you or gives you a disabling stroke. And when you do a net analysis looking at effectiveness and safety together, that favored the rivaroxaban strategy. So overall a very positive trial in COMPASS and a nice 1-2 punch, really, with ATLAS and COMPASS—might even throw in PIONEER, and I suspect that’s where you’re going to go next with this dose of 2.5 bid of rivaroxaban looking really good across a variety of different potential indications. Well, we have a bewildering number of choices, Deepak. As you know, we have about 2.8 million ways we could combine all these different drugs in the AFib patient who has a stent, and we’re trying to make sense of all that. We’re also trying to make sense of what the right dose is. It’s important to note that antiplatelets have some benefit, some benefit in the AFib patient, not as much as an oral anticoagulant but get you a little bit of the way there, and that’s why some of us have advocated for reduced dosing of the oral anticoagulants when we combine them with antiplatelets. We may not need the full doses. One thing to be careful of is combining full doses of an oral anticoagulant with DAPT. There can be high rates of bleeding. And I think with respect to all this, you’ve got to pick the right dose for the right patient. I don’t think we should be saying prescriptive rules about what the right dose is. I think it is best to be picked out on a patient-by-patient basis. 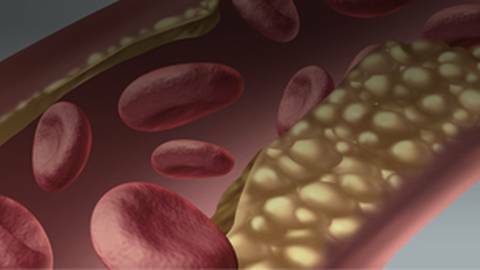 There is some data to support a dose reduction when combining a drug like riva with an antiplatelet. That comes from Japan where 15 mg of riva was found to be superior to warfarin. You might be able to reduce the dosing in this kind of patient where you’re going to have to combine the doses. We did a study called PIONEER. Very briefly, these were AFib patients who had a stent. And we tested 3 different strategies, a WOEST-like strategy where we gave an anticoagulant, in this case rivaroxaban at 15 mg plus a thienopyridine—clopidogrel was the most widely used drug—or we gave an ATLAS-like strategy the with the reduced dose of riva at 2.5 twice a day plus DAPT, or we gave conventional triple therapy. In the traditional triple therapy, two-thirds of the duration was more like the winning arm in WOEST where we dropped one of the antiplatelets, in this case clopidogrel, and you had warfarin plus aspirin for two-thirds of the exposure period, and no surprise—I think most people know this—that the NOAC, in this case rivaroxaban plus an aspirin or clopidogrel strategy, reduced bleeding by about 8 or 9%. You’d only have to treat 11 or 12 people to prevent a bleeding event. The bleeds were not just nose bleeds. I mean, when you look at BARC definite fatal bleeding, there was a reduction for the 2 riva arms versus warfarin, and the efficacy looked pretty similar. It was not powered to look at efficacy. You can see the event curves are largely overlapping. If anything, numerically, that ATLAS-like strategy remains undefeated as the lowest event right here. People are very worried about stroke, but the numbers of stroke kind of paled in comparison to the number of deaths and MIs combined, but any difference in ischemic stroke, which was a little lower for warfarin but not significant, was offset by higher rate of ICH, so it’s kind of like a net of zero and zero-sum game on stroke. And fatal bleeds, as I mentioned before, were a little elevated. Now, Deepak, you wrote an editorial to a paper that we published which looked at hospitalization for cardiovascular events as one way of looking at effectiveness, a much more statistically powered way of looking at effectiveness, and here we saw about an 8% reduction in efficacy hospitalizations, so we found that very reassuring, that we certainly weren’t doing any harm on the cardiovascular side with these newer strategies. The take-home message, I think… And you also have the RE-DUAL trial with efficacy there for dabigatran. The take-home message is that when you’re combining these drugs, use the lowest approved dose, and if you are using riva, one strategy is to use the 15 mg dose. 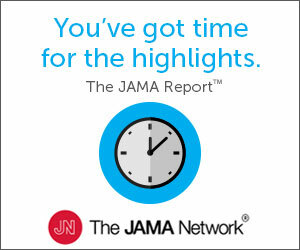 Well, this is really incredible data, and I guess I should congratulate you on your pioneering role in producing so much of these data that really change the way I think physicians will view thrombosis and treat it in the future, giving us a greater appreciation of antiplatelets, anticoagulants, how they can work together to improve patient care—really fascinating data. Thanks so much for sharing it. Thanks, Deepak. Thanks for having me on. Join Drs. Bhatt and Gibson as they review new data that could lead to a new paradigm for reducing thrombotic risk. 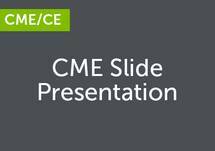 This CME activity is based on a live symposium held on April 26, 2018. 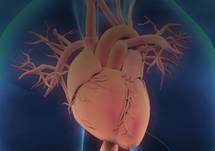 It features a 15-minute Video Expert Dialogue with two internationally renowned faculty evaluating clinical issues and recent data regarding anticoagulation in patients with coronary artery disease (CAD). The Annenberg Center for Health Sciences at Eisenhower designates this enduring material for a maximum of .25 AMA PRA Category 1 Credit(s)™. Physicians should claim only the credit commensurate with the extent of their participation in the activity. Dr. Gibson: Research/Grant Funding: Angel Medical, Bayer, CSL Behring, Janssen, Johnson & Johnson, Portola: Peer to Peer Communications: The Medicines Company; Consultant: Amarin, Amgen, Bayer, Boston Clinical Research Institute, Cardiovascular Research Foundation, Eli Lilly, Gilead, Janssen, Johnson & Johnson, The Medicines Company, Novo Nordisk, Ortho McNeil, Pfizer, Pharma Mar, Roche, St. Francis Hospital, St. Jude Medical, Web MD; Royalties: UpToDate in Cardiovascular Medicine. 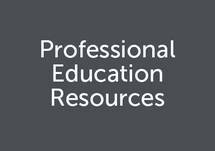 There are no fees for participating and receiving CME credit for this activity. During the period June 26, 2018 through June 26, 2019, participants must read the learning objectives and faculty disclosures and study the educational activity.